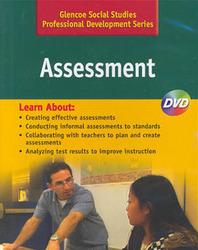 Assessment—Learn about creating effective assessments, conducting informal assessments to standards, collaborating with teachers to plan and create assessments, and analyzing test results to improve instruction. Participants learn about the importance of assessment. They watch video commentary by Lois Moseley, a noted speaker and author on the topic of assessment, who discusses various facets of assessment in classrooms today. Participants observe a social studies department meeting where teachers discuss assessment choices.